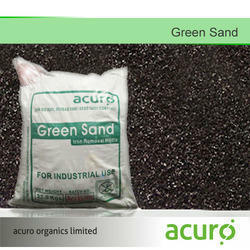 We are a reliable firm offering Light Green Aquarium Sand to our clients. These are light green in color and glows in water. This makes it look attractive and appealing and catches attention of the viewers. These are manufactured using the high technology and advanced tools so as to ensure a defect free range for our clients. Green sand, or glauconite, is a material from the ocean floor that is mined to be used as a soil conditioner or fertilizer. It is made of marine potash, silica, iron oxide, magnesia, lime, phosphoric acid, and about 30 other trace minerals. We have established ourselves as a coveted organization which is involved in offering Green Sand Powder. Our company has gained name and fame in presenting Green Sand. Manganese green sand are used for removing iron, hydrogen sulphide and manganese from water. Manganese Greensand also has the capability to remove radium and arsenic from water. 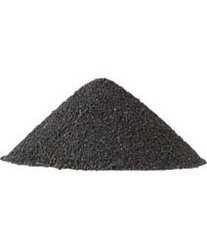 Manganese Greensand is used to remove iron, manganese and hydrogen sulphide from water resources. It is used alone or in combination with coal in dual media filtration systems.